I really miss silly racing games. What feels like an eon ago we had a mountain of Cruis’n iterations, San Francisco Rush games for days, and even crazy side projects like Wacky Wheels. As time went on even perennial champion Mario Kart was challenged for supremacy by multiple Crash Team Racing titles and many others. 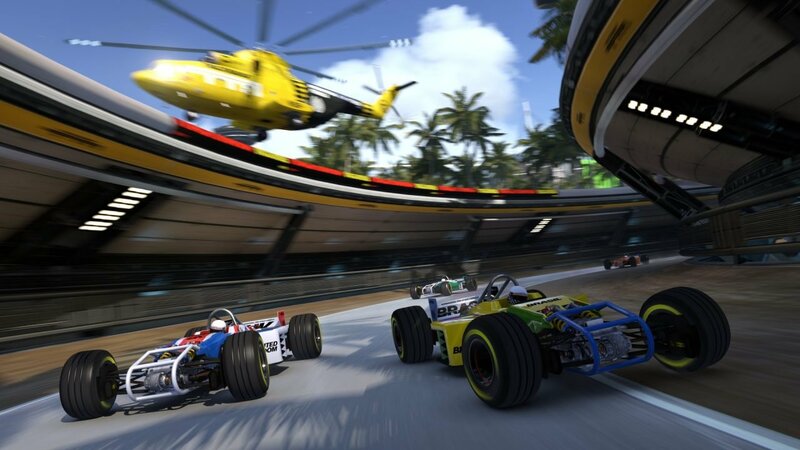 The genre has dried up recently, with only the occasional release, and in that sense the Trackmania series, or more specifically the recent Trackmania Turbo, is a nice surprise. 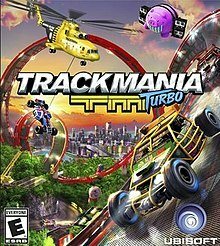 The best way to describe Trackmania is the phrase “arcade-like,” which is rather fitting given the “insert coin” prompt at the start. Remember when games were as simple as popping the cartridge in and then selecting a level? That’s basically the kind of experience developer Nadeo is going for here. Players have two options—accelerate or brake—and you rarely want to opt for the latter. Just because you aren’t fumbling with turbo buttons or items doesn’t mean the races won’t get hectic, as the physics system is very liberal and all sorts of absurd. You can cruise through the air at 100 miles per hour, fly hundreds of feet on a loop, and then slot yourself into another track by threading a needle aerially. This game is insane, as is evident from one of the first tracks that doubles the stakes of some of the jumps in the Mario Kart series (Peach’s Castle comes to mind immediately). Brevity is the name of the game; races don’t tend to drag and feature a straight-shot approach from start to finish. It’s a nice break from simulation games that pad their career modes with endurance matches. I have to admit that despite the rush, over time the appeal does start to dissipate a bit. 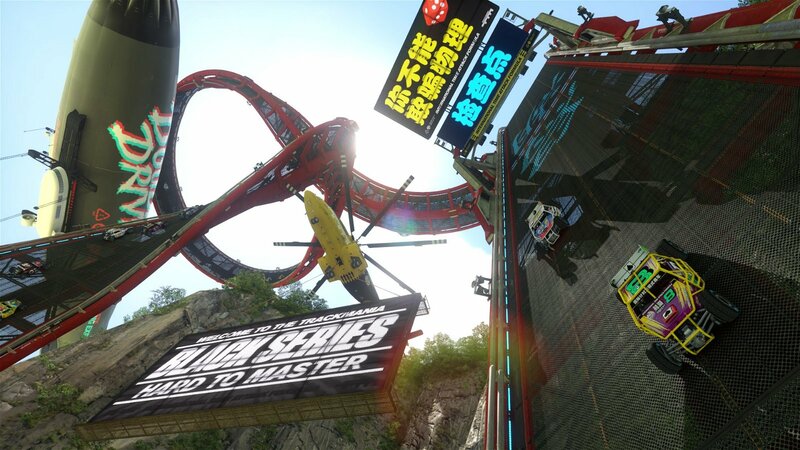 There’s nothing inherently broken about Trackmania, but the lack of surprises might get to you. While I wouldn’t say that the cars in Trackmania are full of personality, they certainly are bright, and are distinct enough that I can easily tell the game apart from its competitors side-by-side if necessary. Even the menus are stylish and silky smooth, with instant load times and transitions and a 60fps framerate that is very helpful given the high octane pacing. 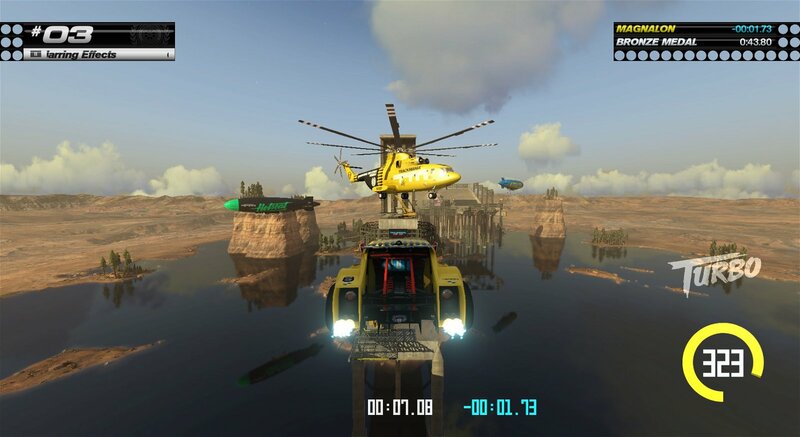 Once the 200-mission campaign is all tapped out, players can experiment with multiplayer (including split-screen support for up to four players even on PC), customization options in the garage, leaderboards, and the almighty Trackbuilder—which is probably the highlight—as well as a random track generator. It’s crazy how much that last option can really jack up the replay value of Trackmania, as racing the same cups over and over gets tiring in any given racing game. For those of you who want even more to do, there’s online play and a “hot seat mode” for up to 18 players that facilitates the old school “pass the controller” sentiment. Oh, and I didn’t mention all of the secret unlocks buried within. It’s a lot to unpack! Although it doesn’t necessarily innovate, Trackmania Turbo is an amalgamation of arcade racers from over the years, and the attention to detail really shines through. With more content than basically any other racing title currently on the market, it’s hard to beat. Trackmania Turbo is an amalgamation of arcade racers from over the years, and the attention to detail really shines through.